A case for complex identities sans politics. 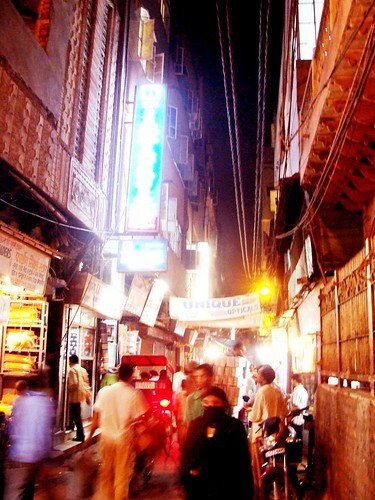 Lahore, December 31, 2008: As clouds of war hover in the skies of Lahore, I am missing Delhi and lamenting the relatively difficult venture to visit the city. The December of 2008 was a month of promise. I was meant to visit the Jawaharlal Nehru University, read a paper, participate in a conference and enjoy the environs of the campus that would have glowed in December sunshine. Not to forget that I was meant to pick up two books on Gulzar, the great modern poet and lyricist of India whose links with Urdu and Pakistan’s Punjab are as intractable as the nine centuries of our South Asian past. How keen I was to walk around the bookstores of Delhi and try out the unfrequented eateries hidden behind the mayhem of the urban life. Above all, I wanted to finish the book that I have been writing on Delhi. For that I have to do a little more exploring of its myriad moods. Alas! Certain things are not meant to be. My trip was scheduled right after the tragic Mumbai events of November 26 which were equally mourned in Pakistan. But that terrorist event has now become a bone of contention, almost a drumbeat for war, between India and my country . We, the ordinary citizens whose existence is a mere footnote in Indo-Pak history, are always let down by the state and the non-state actors, by jingoisms and calls for revenge for national prides. But I am an optimist – we shall overcome the trap of violence, one day perhaps. I am hopeful that 2009 will be a year when the current impasse will be resolved and Delhi and Islamabad will sit together to prepare a joint strategy to counter the monster of terrorism. Maybe I am dreaming but then what would life be without dream —a Delhi without the Lodhi Garden? This year I also want Delhi to throng with Pakistani tourists. Delhi belongs to Indians but is also equally important to Pakistanis. As a friend remarked that there would be a time when it will be a visaless journey to Delhi, whatever the preachers of hate may have to say . The year 2009 maybe a beginning — I fervently hope that. I have plans for next year. My friend wants to initiate a documentary on Gulzar. On the poet’s larger-than-life persona, immense talents and how he belongs to all of us. True, we are separate countries and I am proud of being a Pakistani but why always harp on the differences. How can we divide Ghalib and Amir Khusrau between us? Under the clearer Delhi skies, I once again wish to visit the Dilli Haat, shop around the stalls, before landing up in the coolest of restaurants — Swagat in Defence Colony Or else catch the new Bollywood flick at Priya. Of course, each day would commence and end at the ever-engaging Nizamuddin Dargah. Raza Rumi,Having met him recently and seen the production of his latest play, I would be glad to offer any assistance should you require it.At least till the war clouds disperse and you are free to move in this country. hey…I read this article in HT city…vry beautifully written.Insha Allah…we shall overcome the trap of violence! U better sit in pakistan itself.Visaless entry for pakistani’s no way….Our government was already fool to allow pakistani’s for visa.I wish all the relation between India & pakistan is closed forever. A few days after the Mumbai carnage, my mother, a Pakistani, called me to wish me on the birthday ( dec. 01).Our attempts to pick up the threads of our previous conversation, only the seventh or eighth in almost 20 years, were punctuated by condolences she had to offer over the attack.If memory serves me right she said the attack on a city she knew like the back of her hand was “terrible and painful.” Need I say more….. I don’t like to see pakistanis comming to India. Stay wherever you are in Pakistan. Please do not come and terrorise our country India. And Indian government should not issue any visa to Pakistanis at all. We just don’t trust you. You are either aggressors or deceits (ex: Kargil)or jihadi supporters or terrorists themselves. India is better off without Pakistanis visiting our beautiful country. So stay off. You people are not welcome here.